We don’t know who will take those first steps on Martian soil, ushering in the age of humans as a multi-planetary species. But we do already know a couple things about those first intrepid explorers: They’re taking steps on Earth right now; and they belong to a generation that is tech-savvy, and raised on the internet and social media. But do today’s students think about exploring beyond this world and into deep space? 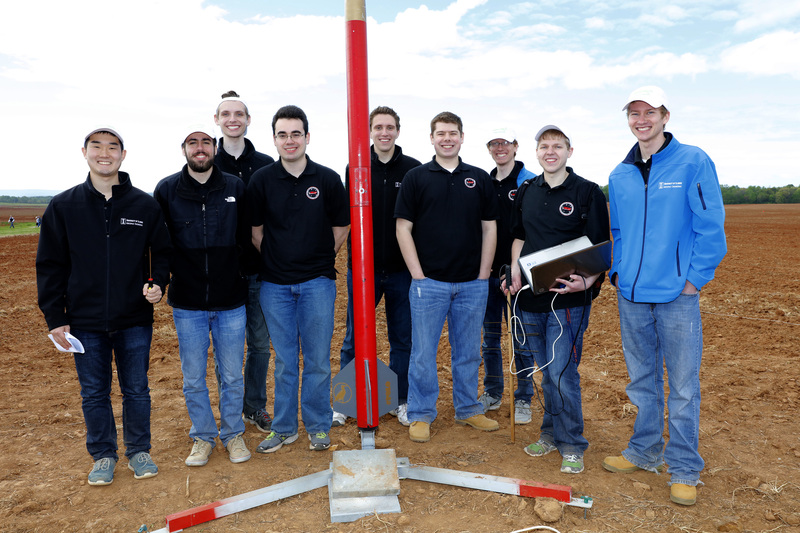 Members of the University of Illinois Urbana-Champaign’s rocketry team said at NASA’s Student Launch competition that they look forward to NASA’s Journey to Mars and aspire to be a part of it. 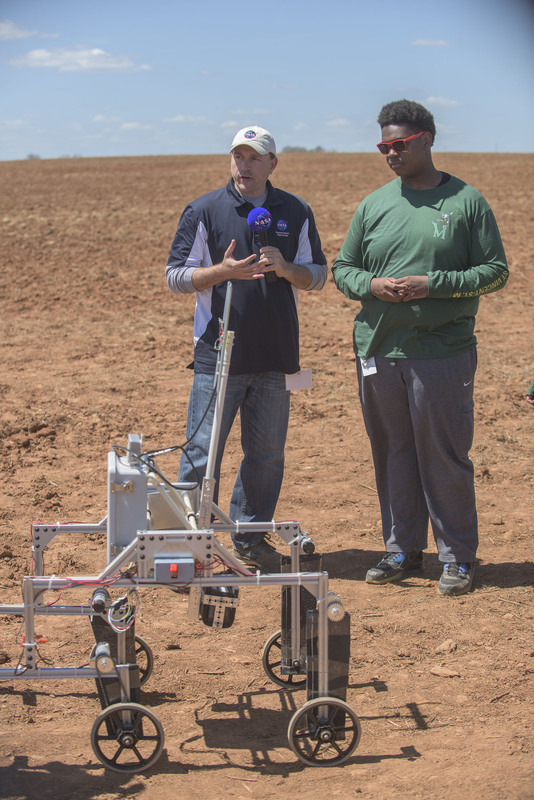 “Every day – we can’t get enough of that stuff!” said Ben Collins from the University of Illinois Urbana-Champaign on a recent windy morning that was spent launching rockets in a field north of Huntsville. Collins and his teammates were among 51 student rocketry teams that competed in various challenges and sent their amateur rockets soaring during the 16th annual Student Launch rocketry challenge April 13-16. 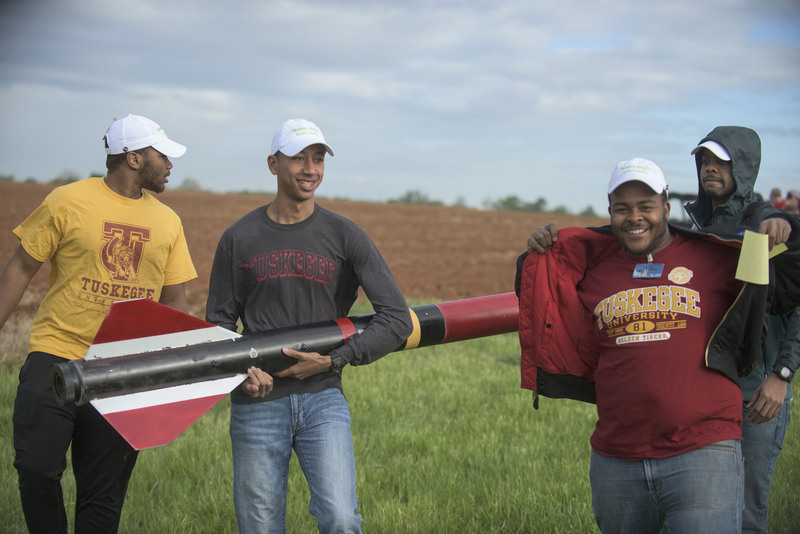 Members of Tuskegee University’s rocketry team enjoy their day at NASA Marshall’s Student Launch. At this year’s Student Launch, middle and high school students and university computer scientists, physicists and engineers of all stripes (aerospace and mechanical were particularly well-represented) got to tour NASA’s Marshall Space Flight Center, the center responsible for developing the Space Launch System (SLS), the country’s next-generation heavy-lift launch vehicle. For some, the competition – and the visit – were a taste of things to come. NASA’s call for new astronauts earlier this year also made an impact on the future engineers and scientists at the Student Launch. Paul Grutzmacher, a 17-year-old senior at St. Vincent-St. Mary High School in Akron, Ohio, said that his career goal is to become a pilot for the Orion crew vehicle that will launch on SLS. 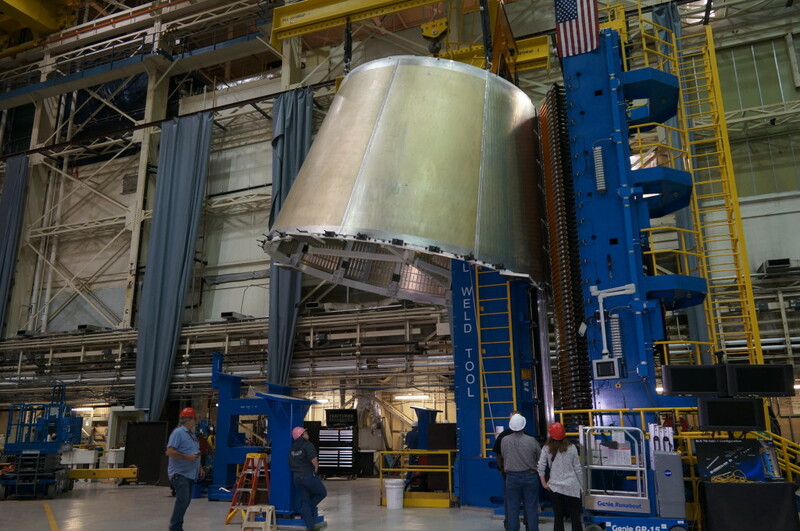 “SLS excites me because it’s supposed to take us farther than we’ve gone before and it’s also our next heavy lifter,” he added. 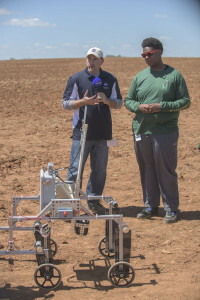 St. Vincent-St. Mary High School’s Project Manager Raykwon Wookdruff describes the team’s rover, which autonomously located the team’s downed rocket, providing a proof of concept that an autonomous rover on Mars could locate and retrieve a supply rocket without astronauts having to leave the vicinity of their habitat. These students recognize the value in missions that build expertise in long-duration spaceflight – and the technological spinoffs that arise from the process. To hear them tell it, long timelines just don’t scare them. Auburn University’s student rocketry team tracks progress on America’s next great rocket by following social media and events like solid rocket booster static test firings and RS-25 main engine tests. “Social media makes it a lot more tangible,” said Auburn’s Burak Adanur. “And I think it gives people something to look forward to,” he said. Vanderbilt University’s Andrew Voss has participated in the Student Launch over the past four years. “I have seen a lot of work go down,” he said. 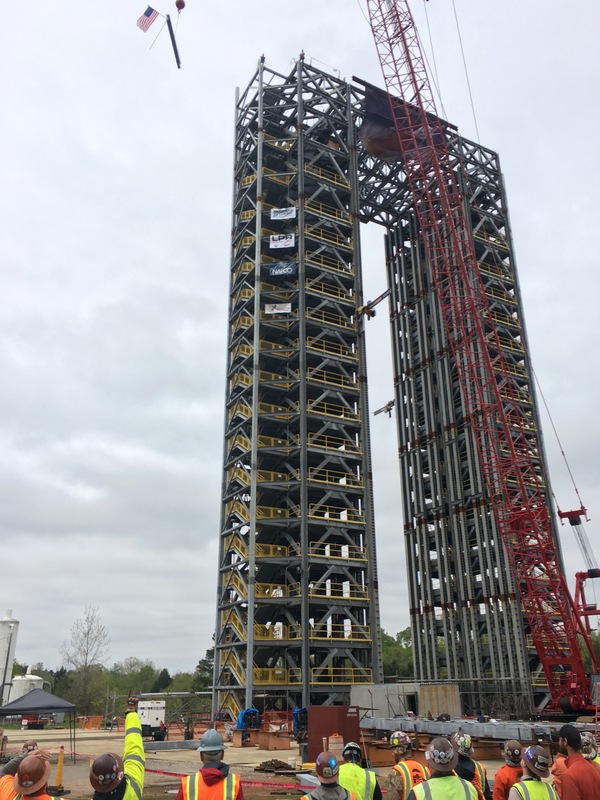 “And I like seeing the test stands because the work that goes into testing is a feat of engineering.” Check out our recent blog post on Engine 2059 for more about how an engine helped test a test stand. 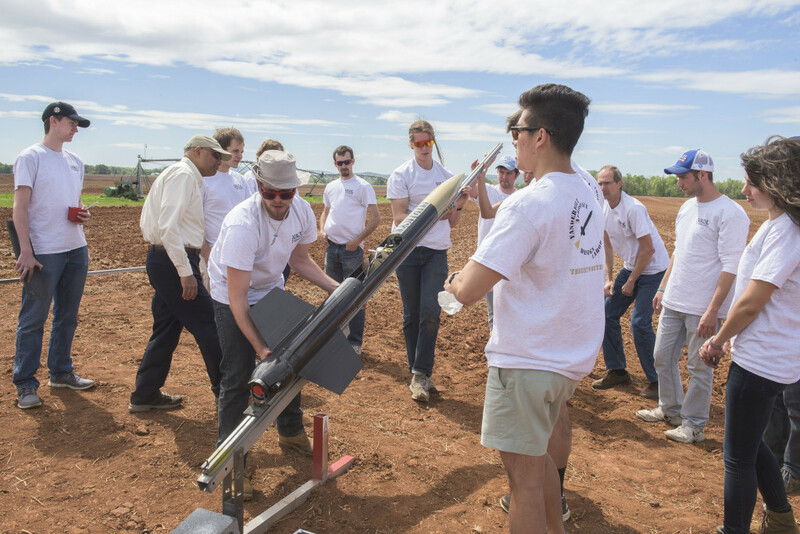 Members of Vanderbilt University’s student rocketry team spoke about the future of deep space exploration after successfully launching their rocket. Chris Lorenz of the University of Illinois at Urbana-Champaign said he sees the value of NASA’s proving ground missions to build up for human Mars landings. “I’m a big fan of what NASA does in robotic exploration. 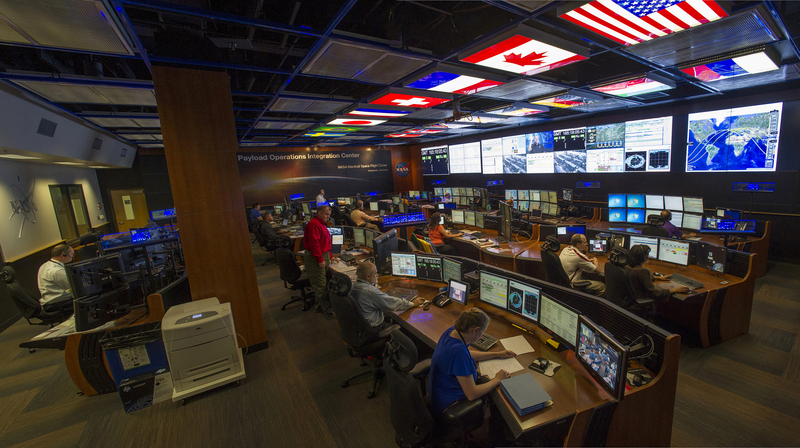 It’s smart to go unmanned and build up infrastructure first before attempting manned missions,” he said. Vanderbilt’s Mitch Masia said that while proving ground missions are necessary, deep space exploration really gets people going. “The space station is awesome and a huge feat and deep space missions will get people even more excited.” Case in point: Worldwide amazement and wonder at the photos of Pluto NASA’s New Horizons spacecraft has been sending back to Earth. 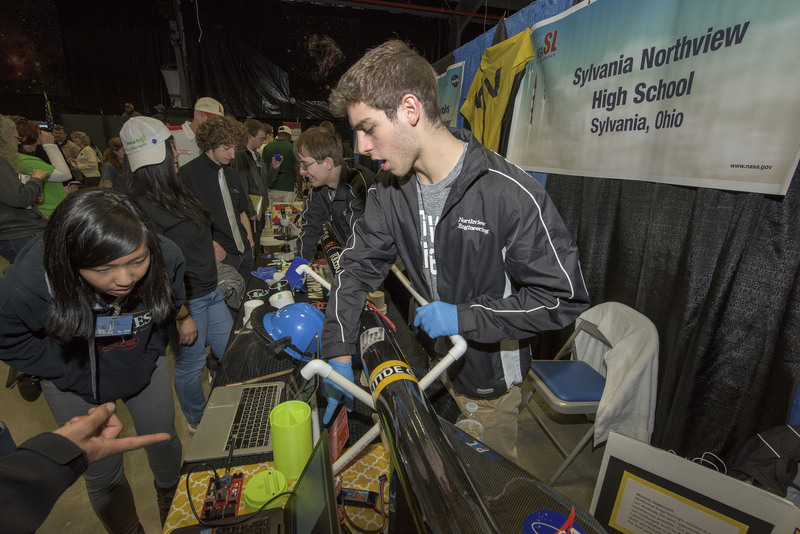 Members of Sylvania Northview High School’s rocketry team explain their project to other students during the Rocket Fair at NASA’s Marshall Space Flight Center the day before launch.